My oldest is 4 and loving preschool. 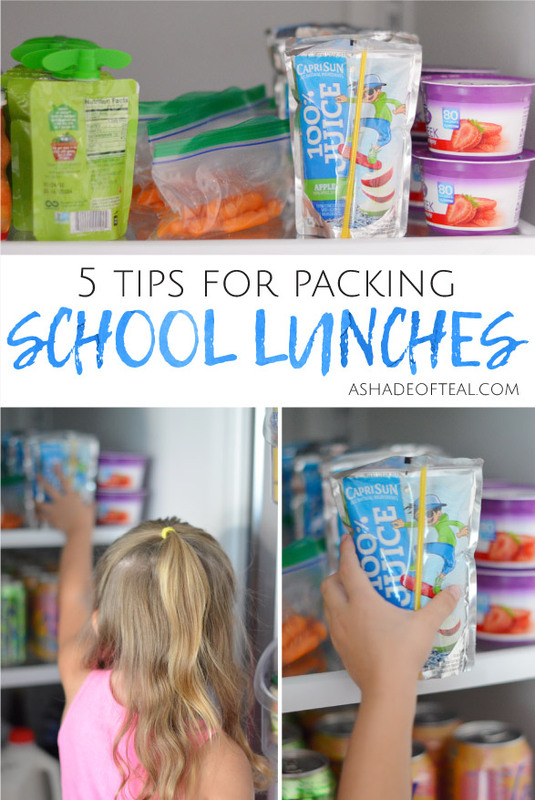 She only attends a couple days a week, but even then I struggle to keep up with all her school needs, lunch prep, my work, and of course my other daughter! So, I’ve created a system to keep 1 task organized; School lunches! I have a shelf in both my refrigerator and cupboard with everything ready to go. I try to stock everything with plenty of food, snack, and drink options. 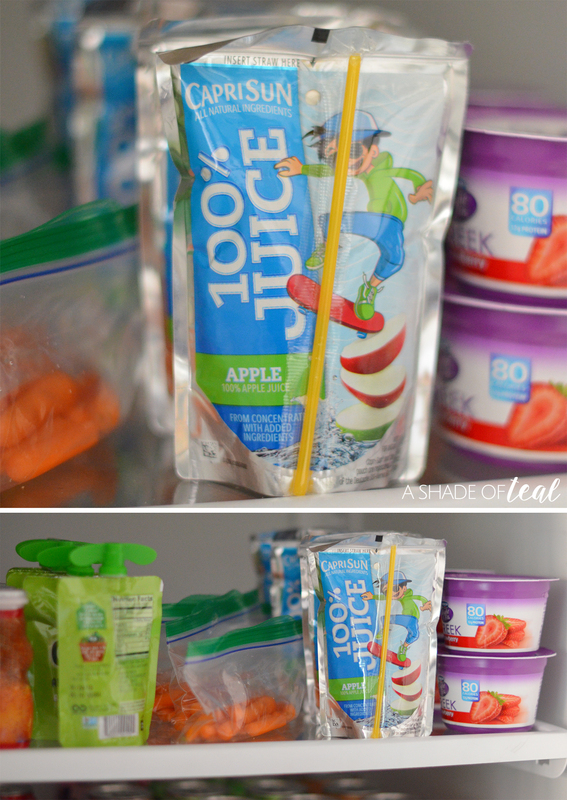 Of course my daughter’s favorite is CAPRI SUN! We keep a variety on hand at all times since she loves them. 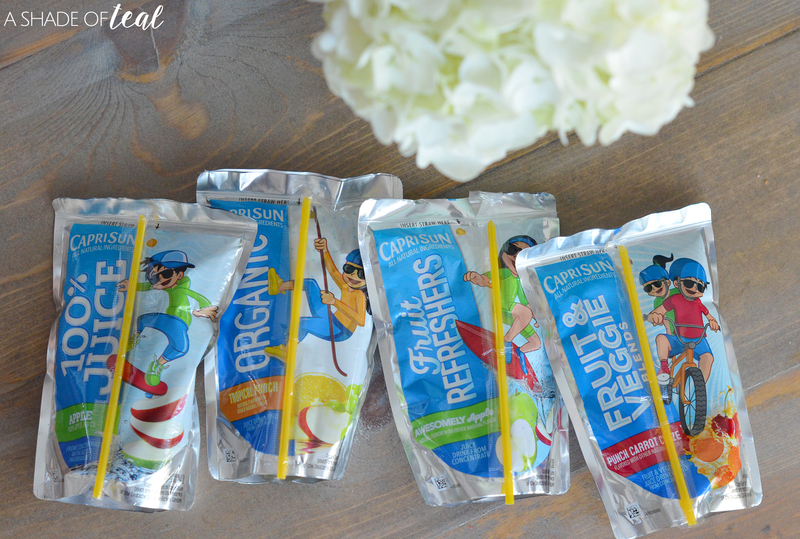 If you didn’t know CAPRI SUN now has four varieties made with All Natural ingredients, no added sugar* and no high-fructose corn syrup, artificial colors, flavors or preservatives. 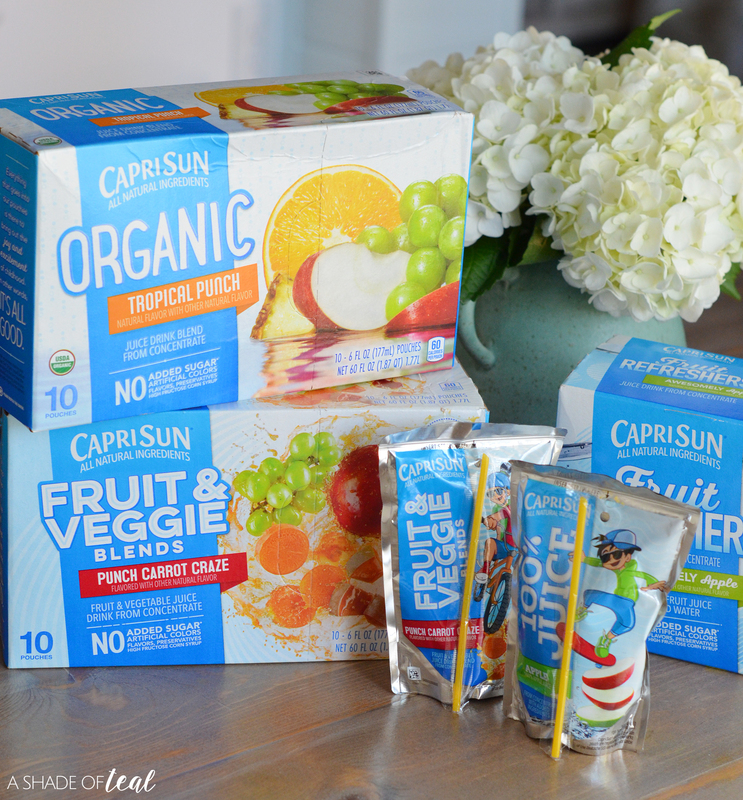 Their four new products have the taste kids love, without the ingredients that parents don’t want in their kids’ drinks. If I have time I’ll prepack her meals for the week. This doesn’t always work out, but it does help. If I can’t prepack for the week I’ll prepack her lunch the night before. This has been amazing! Since I have everything organized and ready to go I can have my daughter help. She loves it and it’s one less thing for me. We just make sure she grabs a balanced diet for her lunch. 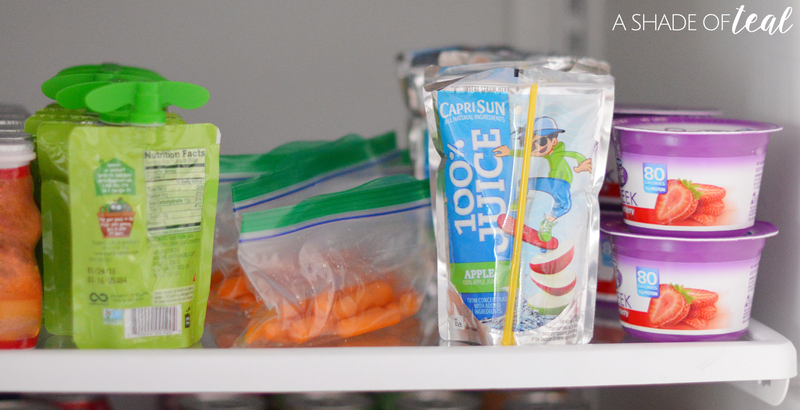 Fruit, vegetable, protein, snack, dessert, and of course a CAPRI SUN drink. Tip 5- Grab & Go! Having everything packed and ready has made my mornings much less stressful. Having to just grab and go is amazing, and a great way to get my daughter off to school. So, ready to get organized and make lunch prep easier? I hope my 5 tips will help all those working parents have a much more stress free day. « 5 tips to Create the Perfect Baby Registry! I think it would be a good idea to get everything ready on Sunday when you have the time. Everything gets really busy and I tend to just throw whatever is easiest into the lunch bag. I should probably take the time to prep so that I can make sure that my kid is getting the right nutrients he needs.